The last end of all cabal divide-and-conquer realities are being dismantled at this Now moment to allow a prosperity program that will allow humanity the abundance it has always been intended for, to liberate all from a monetary system based on slave debt. We of your Ascended Masters, along with our Earth Allies, have reached a point in decision where this abundance program for humanity will soon be in effect to allow the distribution and allocation of funds to Lightworkers. This will then allow foundations such as Keshe to follow suit in their distribution of free energy technology. As we, of your angelic guardians, meet you on the surface, more of such gifts will be graced to humanity. It is important to know that all Federal Reserve debt-based currencies will be removed and replaced with a precious metals and gold-based value currency. As we proceed into greater advancements within humanity’s evolution, all IMF central banking systems will be removed; money will no longer be a means of trade. It is important to know that it has now been announced through Zorra of the Hollow Earth that there will be a deployment of healing ships that will descend to restore health on the surface of the Earth to those suffering from bodily dis-eases and those who live with critical physical disabilities and conditions to include anyone else who requires healing. We now commence forth with global disclosure, as the currency reset has been finalized and will be enacted within every state and country throughout the globe. 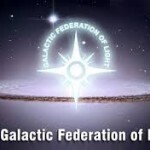 Funds will be allocated to light workers and the rest of humanity upon our disclosure of the many hidden accounts on the surface by your cabal world governments. We continue to monitor and stabilize the planetary grid system in making sure that Gaia is balanced for her final transition out of the lower densities of the 3rd dimension. We now have different fleets within the Command who sit in earnest within their command stations to assist humanity in their Ascension and return within the Light. These fleets specialize in spiritual education, communication, monitoring planetary affairs, species observation, media and scientific survey, healing and many other research areas in quantum data analysis. As I have already mentioned, we now have full control over all your governments’ air spaces and marines. It really doesn’t matter as to which country or super state is claiming what; they know that their technology is helpless against ours. We have disabled all nuclear atomic weapons, and will also disable your guns, military vehicles, fighter jets, drones, artificial cloned androids, marine vessels, underground communication centers and anything that stands in our way. All your satelittes will be disabled for any government use. Your governments stand no chance. They know that they have lost complete power over affairs on the surface. We have now arrived to your aid in this Now. It continues to be important to daily cultivate a physical exercising program as part of allowing your body to better adjust and embody more Light in the raising of your frequency within Unity Consciousness. It is through injesting more Light, that you are receiving consistent streams of DNA downloads in Light upgrades through the Central Galactic Sun system in the full activation of your crystalline Light Body expression. Drinking plenty of water moves all the energy within your body to be more in harmonization with the frequency that your body keeps raising to and expands you more in light quotients. Eating vital foods such as fruits and vegetable will also restore and heal much of the energetic distortions imprinted on the DNA through meat consumption and processed foods such as the likes of GMO’s. All that exists now and has ever existed comes from nothingness, where everything you now see through your eyes just merely exists as empty space. Everything exists because of consciousness; where nothing can exist without it. You are this stillness in which everything exists. Awakening to this comes with consistently embracing more self love and inner stillness in who you are, as God. 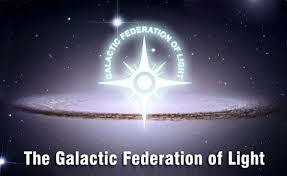 I am now currently working with many extraterestrial groups on the surface to bring in more peace, through a steady focus within, to usher in this 7th Golden Age of Light. I am a trusted Commander in my cosmic ranking of the many missions I have seen to, all in my Service to the Creator throughout the universe in the maintenance of balance and harmony within realms of duality. Many souls experiencing these polarized planes must still evolve, to shift and move much higher within a cosmic expression of Oneness. In the transcendence of endless reincarnation cycles within an eternal expression, I still humbly continue with my work for Ascension beyond any need for any outer validations or approval. 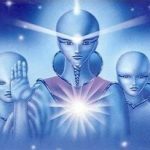 I am Commander Vrillon of the Ashtar Command in this Now, communicating to you through this conduit of Light, bringing in higher frequencies to reach you on your Ascension through the activation of more DNA upgrades through Central Sun Light Code downloads. I am working with the Agarthan’s at this Now moment to prepare this world for what is taking place in conjunction with the Divine Plan of the Creator for this realm and the entire Solar System to be integrated back into the Light-filled realms of Source.